Greetings guys! I cannot believe we're in August already. We're a couple of days into the month already but it kind of hit me today. Our summer is at the half way point! But don't worry guys, there are still plenty of summer collections to get our pretty nails on. Today I'll be showing you guys six of the eight Samba Collection for New York Color. I've been holding on to these beauties for about a month and I cannot believe I waited so long to post about them! I've been using them as undies for glitter toppers this summer so you might recognize a few of them from prior posts. You might notice a bit of difference between nail lengths because photos were taken spread out throughout the month. These colors are inspired by the lovely Brazil and are just spectacular. Let's take a better look! Amazon Green is a light mint green with a satin finish. I truly wasn't expecting to like this color as much as I did after putting it on. I think the satin finish kind of took me off guard and I was a little bit mind blown at the look, haha. Swatched over a clear base coat, used three thin coats, and sealed with a topcoat. The formula was pretty decent, however, because of the satin finish you'll have to be careful of your brush strokes. I used three coats for a smoother finish though it was opaque with only two. Also make sure you wait until it's dried a bit before applying a topcoat as the strokes from applying may cause streaks. 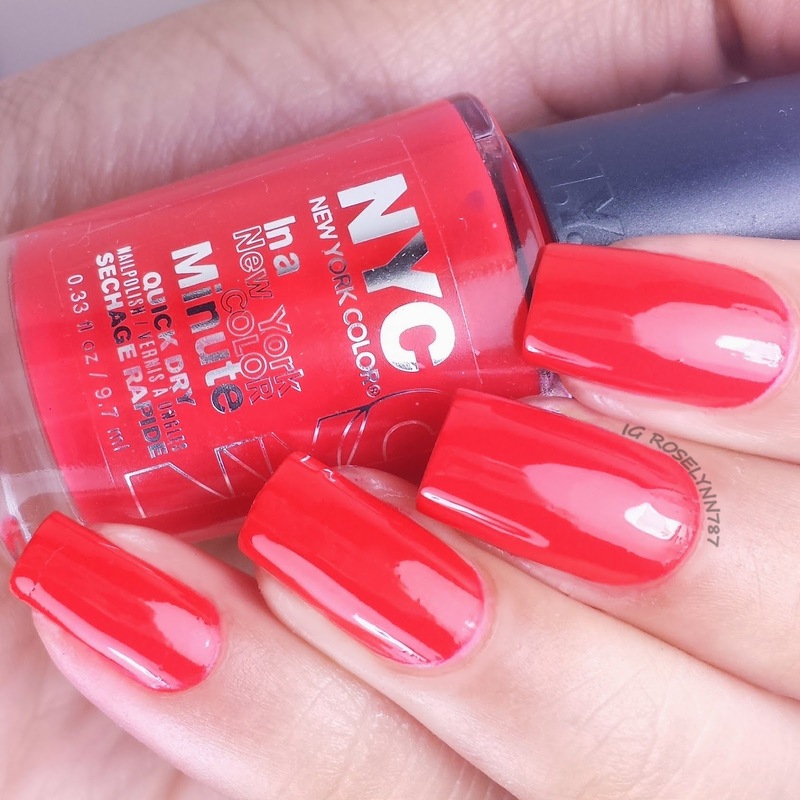 Carnival Red is an extremely bright red creme. One of my favorites in this collection based on color. 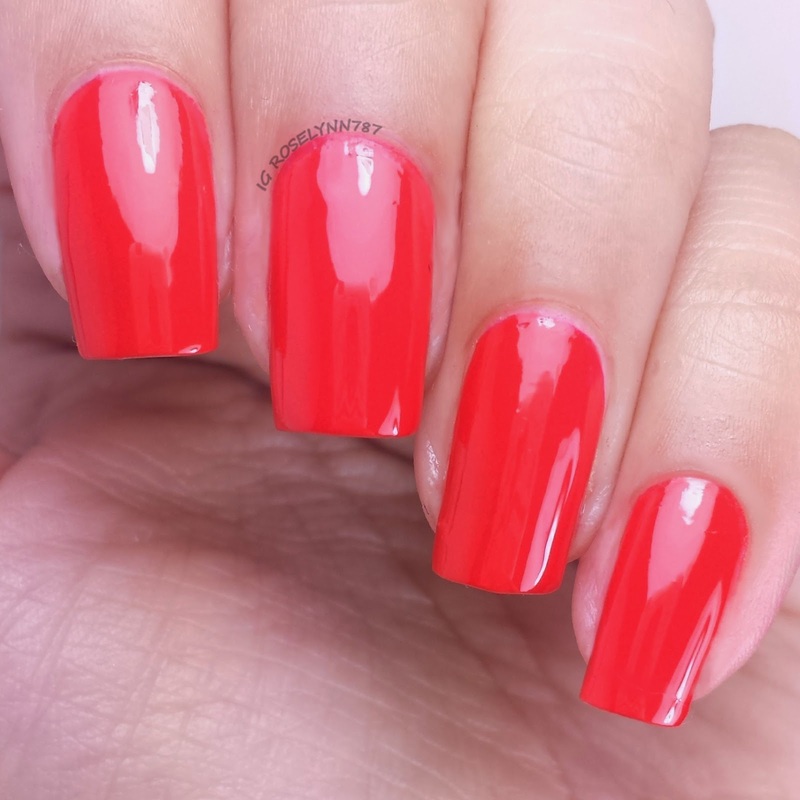 Who doesn't love a good fiery red, right? This is a pretty opaque red as well so for those interested in stamping this might work well. Swatched over a clear base coat, used two thin coats, and sealed with a topcoat. Formula was pretty good, nice even consistency. It's definitely one of the better ones in this regard, however, it does cause a little bit of staining. Not a lot of staining but my cuticles did not care for the red as much as I did. 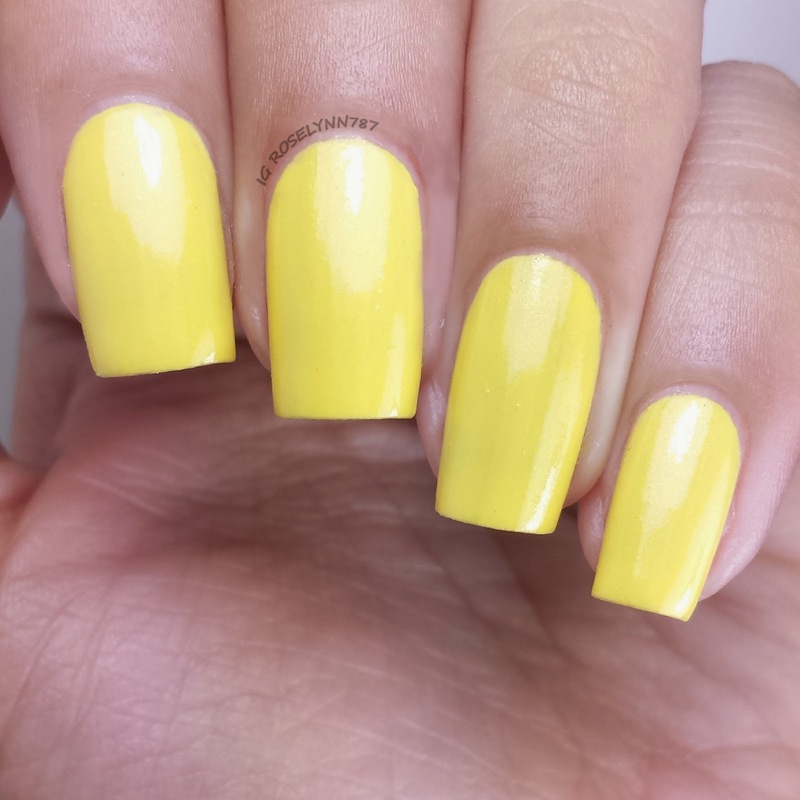 Copabanana is a bright yellow creme with a shimmer finish. The shimmer in this is very subtle but adds a nice touch to the creme. As you guys know by now, I'm not usually a fan of the color yellow. I always feels it clashes with my skin-tone, but this shade in particular actually photographed quite nicely. Swatched over a clear base coat, used two thin coats, and sealed with a topcoat. Formula wise this one was a little bit on the thick side for me and therefore made it a little difficult to work with. Be sure to use very thin coats to avoid possible clumping. 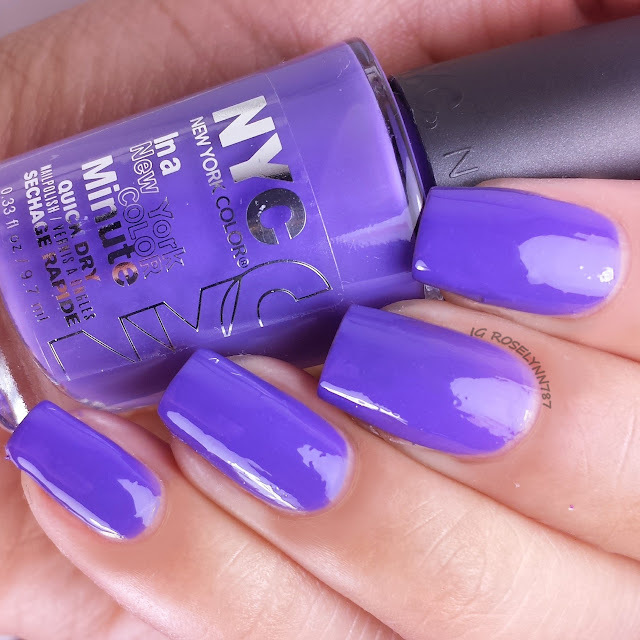 Jacaranda Flower is a creme in a vivid shade of royal purple. This summer this has definitely become of my favorite solid color polishes. I've been using it a lot, on it's own or combined with glitter toppers. It's a very fun color. Swatched over a clear base coat, used three thin coats, and sealed with a topcoat. The formula was a bit on the streaky side as well as sheer in a single coat. Three coats will even out the consistency pretty nicely and give you perfect coverage. 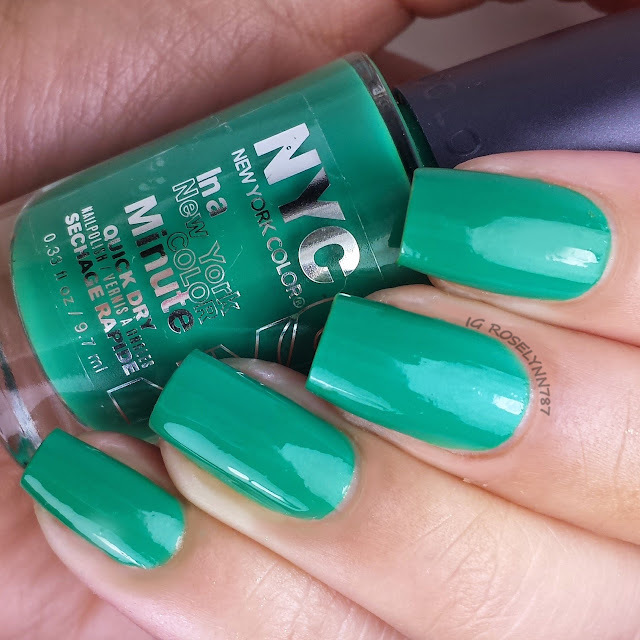 Palm Tree is a lovely forest green creme that looks very rich and well creamy! I wish my camera was able to capture this shade better than it actually did. In person this color is a lot more 'greener' and a tad bit darker. Swatched over a clear base coat, used three thin coats, and sealed with a fast drying topcoat. 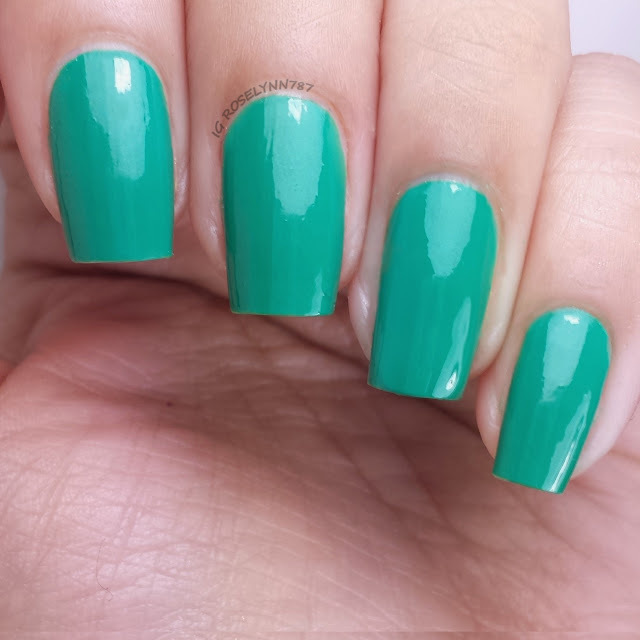 The formula was consistent and the polish applied pretty evenly without trouble. The only issue I did have was unfortunately with the staining it left behind. The pigment is very potent and my cuticles were left looking stained, so be very careful when using. 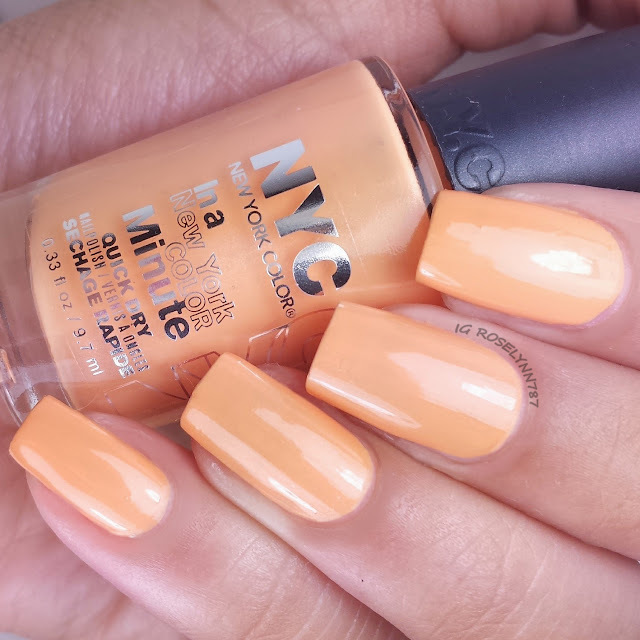 Sweet Melon is a creme in a cute light peachy shade. 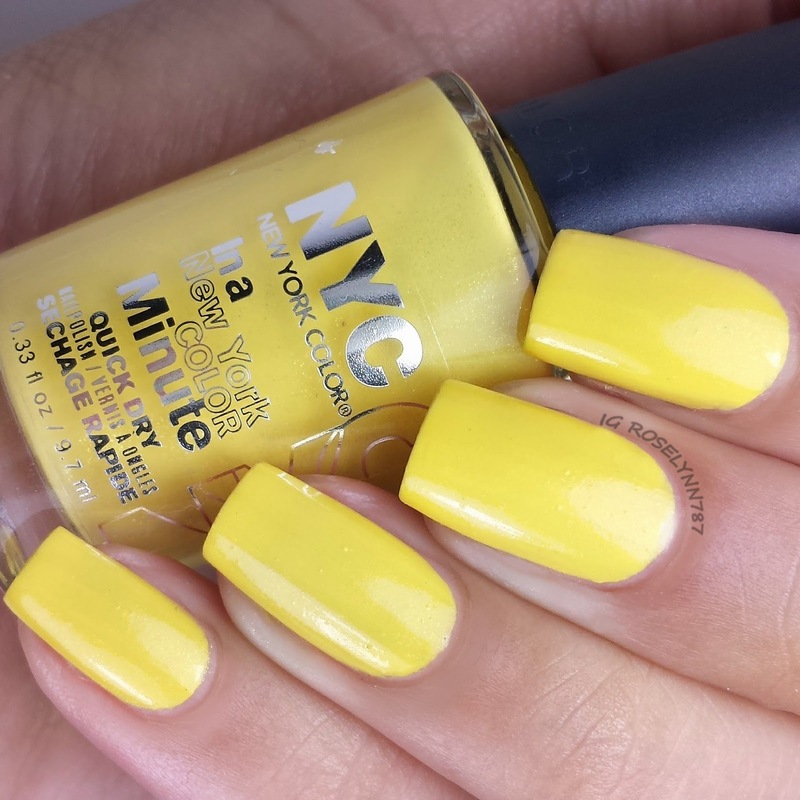 This is another polish in this collection that has totally surprised me. I was not only not expecting to like it so much but I wasn't so sure of how it would look against my skin-tone. I definitely recommend picking this one up especially if you're like me and tend to shy away from orange-y colors. Swatched over a clear base coat, used three thin coats, and sealed with a topcoat. Formula was pretty good and didn't give me any issues when applying. I did find it to be a little sheer on the first layer but three provides ideal coverage. Overall I really like the colors in the Samba Collection by New York Color. I remember some of my first polishes being by New York Color and have to admit that these days I do overlook it. This collection has definitely made me want to browse through more often than I otherwise would have. Formula's were pretty decent all the way through except for the minor troubles I encountered here and there. The staining with Carnival Red and Palm Tree are the only issues I feel you guys might be turned off by. That being said these colors still work extremely well for a lot of nail art, such as watermarble and stamping. The two colors not included in this review are Ocean Blue and Tropicoral but as soon as I find them in stores I will show you guys. 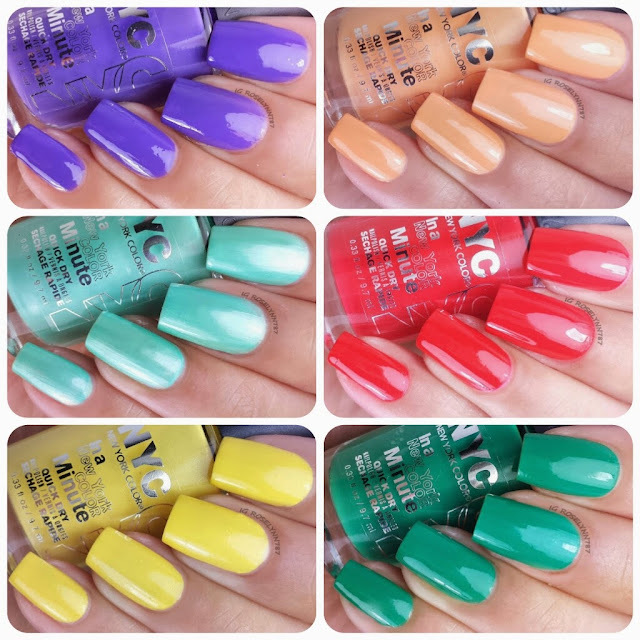 New York Color polishes retail for $1.99 each and you can find them at your local drugstore, such as Walgreen, Rite Aid, or CVS. The Samba Collection by New York Color is available now but remember this is a limited edition collection for the summer. Don't miss out on your chance to own your favorite shade! I have all but Carnival Red. I used Palm Tree last week but it stained so badly. lol But it's pretty and I didn't mind it too much.